Gilles Deleuze was one of the most influential figures in twentieth-century philosophy, whose master-works, Difference and Repetition and - with Felix Guattari - A Thousand Plateaus and Anti-Oedipus have become one of the most widely-influential bodies of work in contemporary thought. 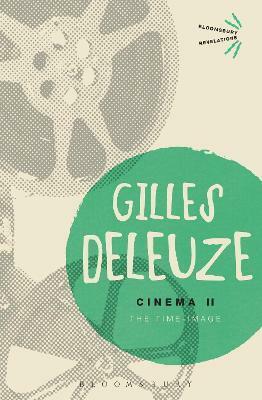 Cinema II is Deleuze's second work on cinema, completing the reassessment of the art form begun in Cinema I. Influenced by the philosophy of Henri Bergson, Deleuze here offers a compelling analysis of the cinematic treatment of time and memory, thought and speech. The work draws on examples from major film makers, including Federico Fellini, Alfred Hitchcock and Orson Welles, among many others. Preface to the English Edition \ Translator's Introduction \1. Beyond the Movement-Image \ 2. Recapitulation of Images and Signs \ 3. FromRecollections to Dreams: Third Commentary on Bergson \ 4. The Crystals of Time\ 5. Peaks of Present and Sheets of Past: Fourth Commentary on Bergson \ 6. ThePowers of the False \ 7. Thought and Cinema \ 8. Cinema, Body and Brain,Thought \ 9. The Components of the Image \ 10. Conclusions \ Notes \ Glossary \Index. Gilles Deleuze (1925-1995) was one of the key figures in poststructuralism, and one of the most influential philosophers of the twentieth century. His major works include, with Felix Guattari, A Thousand Plateaus and Anti-Oedipus.